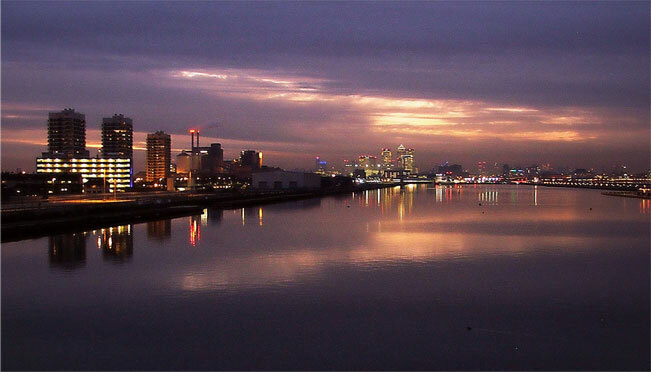 Not so long ago, London’s Royal Docks featured the largest stretch of enclosed water in the world. This 250-acre area was designated a special enterprise zone in 2012 and the ambition to create this latest exciting chapter in the development of London is matched by the desire to be faithful to its history and heritage. 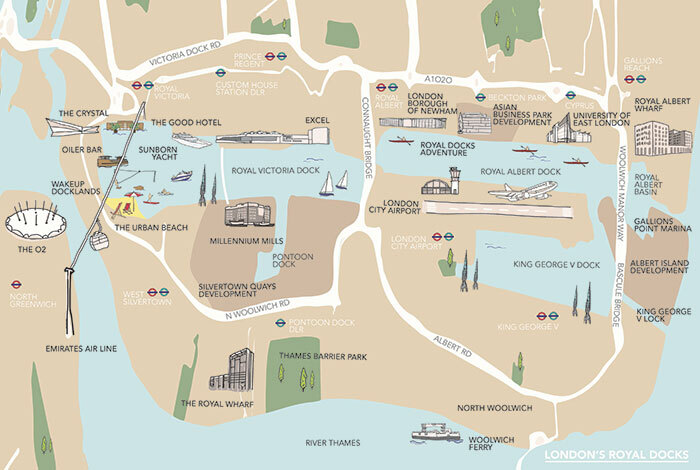 London’s Royal Docks consist of four areas, each with its own characteristics and with attractions and facilities to appeal to locals, tourists and business communities. Great days out, business parks, sporting events, restaurants and bars and stunning residential developments – you’ll find them all along this vibrant stretch of the Thames. Royal Victoria Dock is the bustling hub of activity in the royal group of docks. Indeed this dock was the first to be built constructed out of marshland in 1855, those early pioneers couldn’t imagine what it has become today. Take the cable car across from Greenwich or visit the Siemen’s Crystal, one of the world’s greenest buildings, and learn about the cities of the future. Stroll along the dock edge, watching the arrival of big ships and watersport activities. Try your hand at wakeboarding or paddleboarding or literally fly across the docks on a flyboard. You can visit one of the many waterfront bars and restaurants or the Sunborn, the capital’s luxury floating hotel, restaurant and bar. During the year you can watch triathlons, open water swimming, powerboats as well as enjoy some of the amazing events in the ExCeL Centre – London’s premier exhibition and events venue. Once a busy trading post, Pontoon Dock is returning to its commercial roots as the business heart of London’s Royal Docks. The iconic Millennium Mills building is being transformed into much-envied apartments, whilst this whole area known as Silvertown will become the site of one of London’s most exciting and innovative regeneration projects. In the meantime this area is a popular filming location -you can spot Pontoon Dock in the Bond film, The World Is Not Enough or if you look really closely it is the backdrop for the major action scene in Full Metal Jacket. Located on one side of London City Airport’s runway, Royal Albert Dock is home to the well-equipped London Watersports Centre with a 2,000 metre international rowing course. For those who don’t want to get wet, there are regattas and competitions to watch and plenty of daily sporting activity, as well as the spectacular sight, on occasion of, vessels passing through the swing bridge. At the far end of Royal Albert Dock you’ll find the main campus of the University of East London including SportsDock. A truly state-of-the-art sports facility including a gym built and equipped for the USA Olympic team during London 2012. Located on one side of London City Airport, here you can watch planes destined for cities all over the UK and Europe as well as those heading to New York. 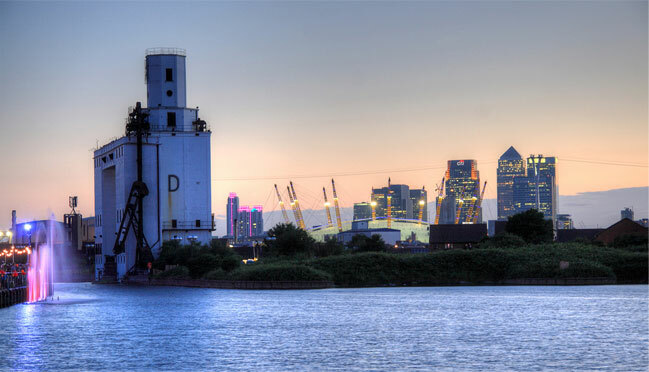 The Royal Albert Basin is the easternmost part of the Royal Docks and is home to a thriving community of apartments and businesses who have the added advantage of being right next to the River Thames. There is a busy leisure craft marina and a fantastic gastro pub – The Reach Bar and Kitchen. Coming soon will be the amazing development of apartments and houses from Notting Hill Housing Group which will create a fantastic opportunity to live both close to the river and the docks with a DLR station on the doorstep.